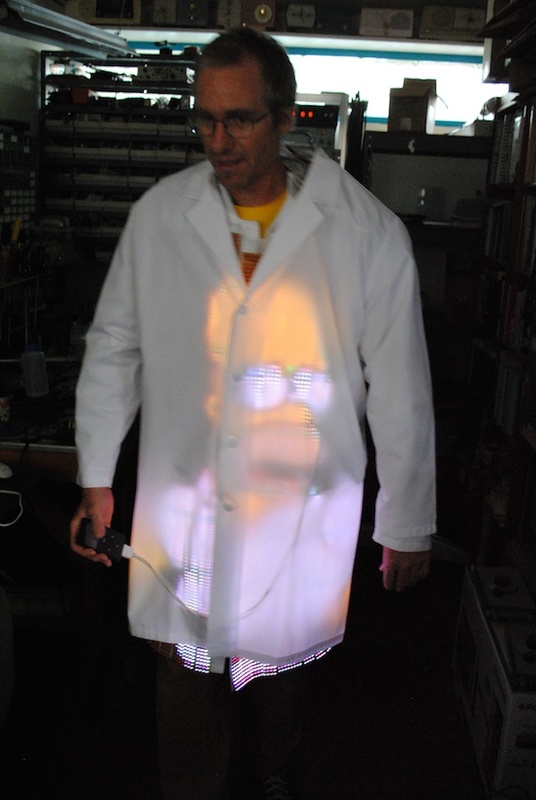 The Video Coat is a color TV set built into a lab coat. It is a 160×120 pixel color LED display, built on flex boards. This television set displays regular NTSC video. I designed and built it for Burning Man. 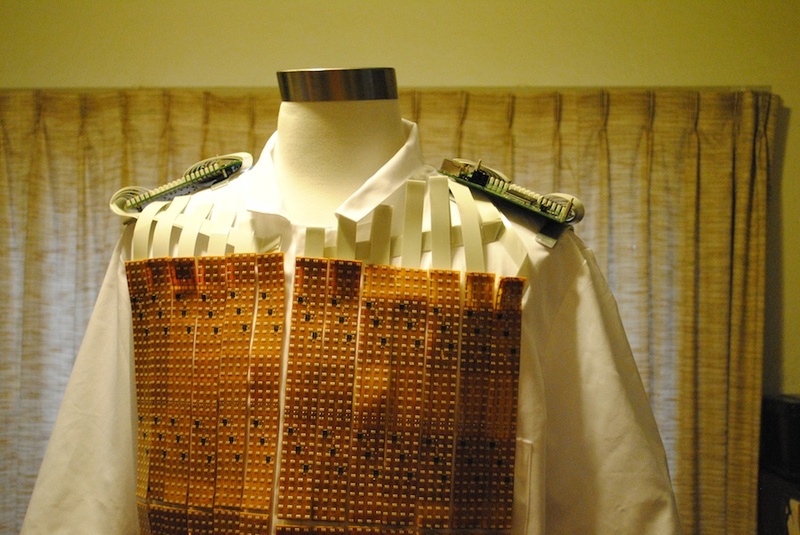 The TV is driven by circuit boards on the shoulders and hips. 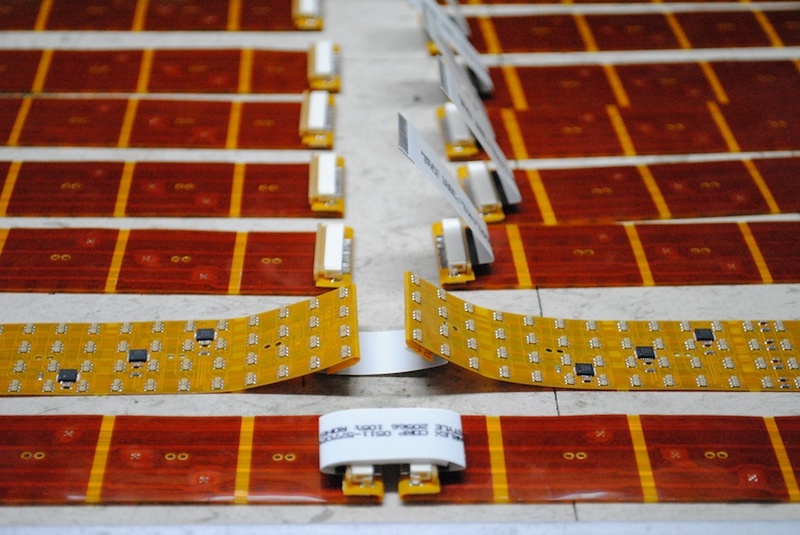 The display strips are narrow flex boards, joined by flat flex cables. 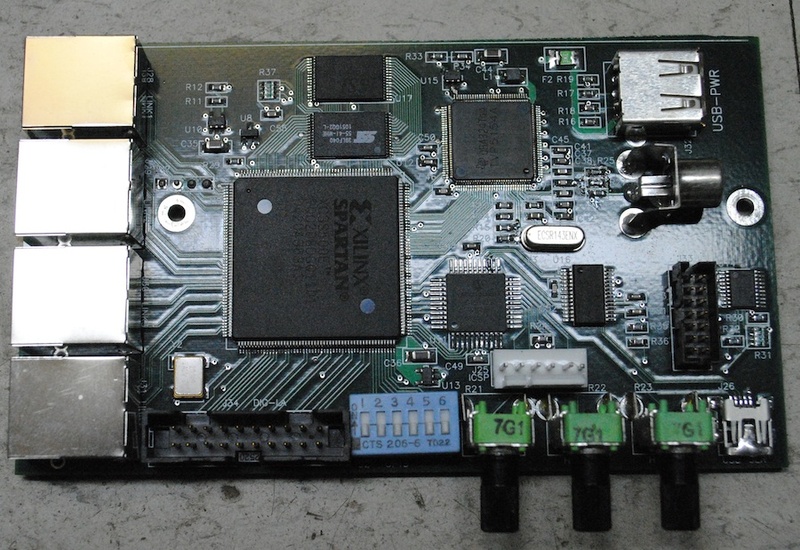 The digitizer board has digital processing circuitry and real knobs for color, brightness etc. A Xilinx FPGA converts the YCrCb signal from the TVP5154 video digitizer into four RGB serial data streams. There is an NTSC video input on an RCA jack, and a USB jack to charge the video iPod that plays the source material. Ethernet cables carry the LVDS serial data to the scan boards. 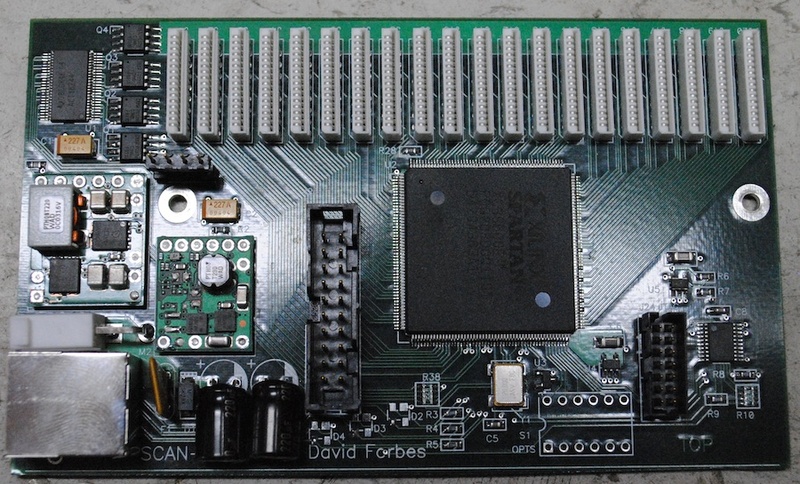 The scan boards each have an FPGA, DC-DC converters and some connectors. Power is supplied by two 11.1V, 5 Amp-hour R/C LiPo packs. Battery run time is about an hour. Still photos by Terry Nordbrock. Video by Chris Wagganer.